Step out today and get that new look you’ve been planning on! Henna Salon is located in Tilak Nagar and offers a wide range of beauty and styling services for women to ensure they’re looking gorgeous once they leave. 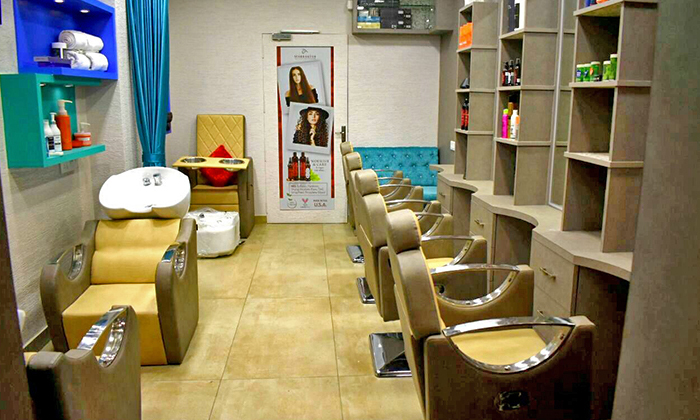 The salon features trendy and vibrant interiors, pleasant to the eye. The staff at the salon is comprised of skilled stylists and professionals trusted by their vast clientele with only quality products used in their services to have you looking fab.